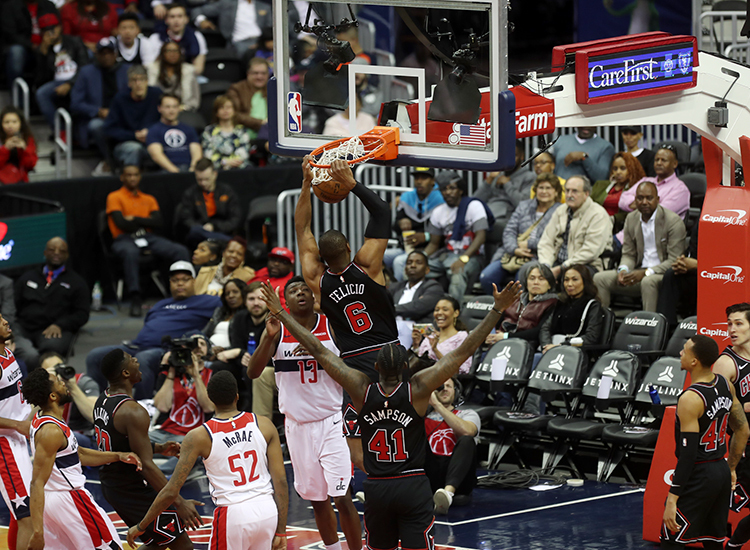 With just three games remaining on the slate for the 2018-19 season for the Washington Wizards after tonight, a one point 115-114 loss to the Bulls tonight was just par for the course of this season. The big ending of the night featured no stars like Beal or Wall, rather guys like Randle and Brown, who have just filled the roster and have come from some G League play this season. Former G-League standout Walt Lemon was the nail in the Wizards coffin for the Bulls tonight, scoring a game-high 24 points on 11-of-16 shooting and hitting two clutch free throws with 1.8 seconds left to reach the winning margin. For Brooks, this season has been one of the longest roller coaster rides of his tenure here in D.C, one that also saw the dismissal of Wizards General Manager Ernie Grunfeld just yesterday, in a move by Wizards Majority Owner, Ted Leonsis. He called it a failure on their behalf to do better for the fans. While the remainder of the three games are more than pointless at this point, it will help the front office decide what they need to do with the nine free agents on the roster and how to live next season without John Wall. If the Wizards were to end the season today, they would tie Dallas and Memphis for the 6th spot in the lottery drawing. Lets hope they get a quality win over the next couple of days or perhaps tank to guarantee that lottery spot.